Global Kids is a child-friendly, safe, hygienic, purposefully-built, colorful, beautifully designed and well equipped Pre-school. Our clean comfortable classroom and various activity areas are uniquely designed to address each child's needs, abilities and development level. The colorful theme walls and age-appropriate colorful furniture make the school dream place for the children where they would like to spend most of their time. The classes and play areas are completed with relevant colorful non toxic toys. They are used as teaching aids and help the child to develop various skills. Communication and Public Speaking are among the most critical skills to achieve success in life. 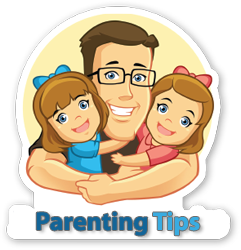 Your child must possess good communication and Public Speaking skills. At Global Kids, we constantly improve the child's vocabulary and expression in language. We also encourage them to perform. It helps them to get rid of stage fright and builds confidence. This area exposes your child to a variety of skills, mental, emotional, social, physical, creative and artistic. The child is made aware of all this and starts forming impressions as per aptitude, attitude and natural skills. Mini kitchen - Children will get familiar with utensils, dining accessories, raw food materials, taste of food, ethical values, safety measures, sense of hygiene etc. Drawing arena - Children will be aware of attending guests, learning polish words and manners. Rest arena - Developing the awareness regarding the importance of rest. Presentation arena - Learning becomes fast and easy if children can see what they are doing. They will learn body parts and various actions and expressions. Your child could be a hidden star, you never know! The Creativity Center is a place where children learn art and craft as well as participate in music and dance. We nurture their inherent talents and bring out their creativity. General Mannerisms and dining corner is equipped with material to promote personal manners, etiquettes and courtesies. Our little ones do also get tired. The soft lullabies will put them to dreams in our Rest Area. It was a bliss in that dawn to be there and to have been with Global Kids is heavenly. The free play room provides opportunity for physical and social development of kids with the help of toys, cars, electronic cars and bicycles, swings, slides, games, pool, golf, cricket and even cute punches of boxing. It is just play and fun. Enjoy naturally and grow naturally. Here fun is not mixed with anything but fun. Gym arena is having child friendly gym equipments help children to keep themselves fit. Motor (gross and fine) development is another benefit of gym arena. Sand pit is meant for children to develop their sense of imagination, motor skills and decision making capacity with fun and vigour. Splash pool always is an exciting experience for children as enjoying with water is a hobby for them. Using Splash pool children will learn the importance of water in our life and also they learn regarding water-borne transport as well. Audio-visual learning is always very effective and fast for children at this age group, They grasp the content well and understand the concept effectively. Children of 2-5 years of age group find audio-visual learning easy and interesting as compared to learning from books as it is monotonous sometimes. Through this Audio-visual room students are shown stories, rhymes, cartoon films etc to enhance their vocabulary and social development. Art & craft room is to polish the hidden creative talent of children, developing concentration level, developing the interaction capability and exploring the sense of imagination.